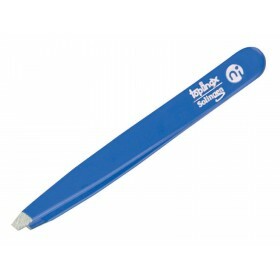 Are you looking for the highest quality pedicure tools, to cut your nails with impeccable German precision? 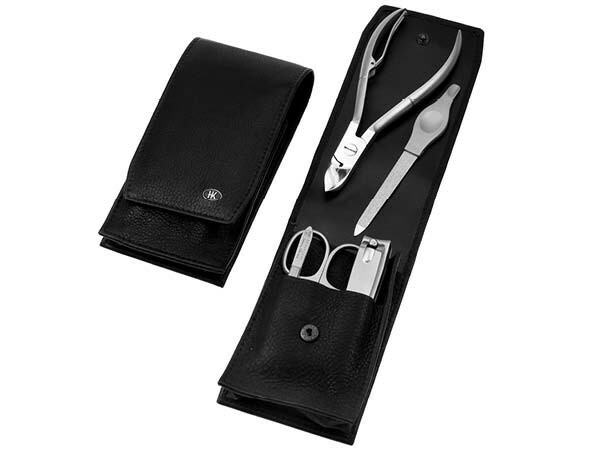 In this classic Inox pedicure set, Hans Kniebes Solingen offers unique craftsmanship and expertise since 1926, with five high quality instruments for manicure and pedicure, sharpened to perfection through a hot forging process of the steel. 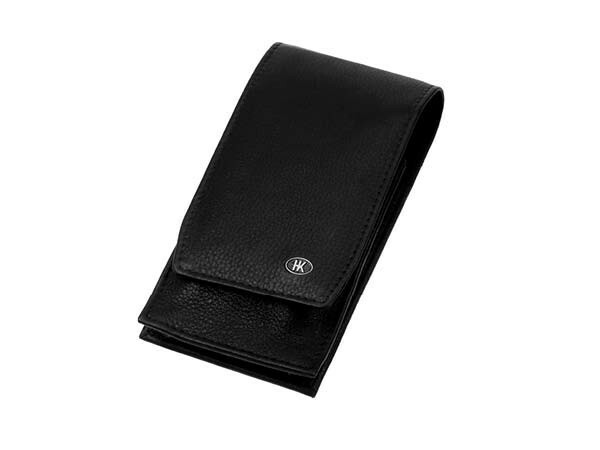 Compact in design and beautifully secured in a premium black leather case, it is perfect for travels and fits any pocket or purse – so your nails always look their best. For Hans Kniebes Solingen, only the best is good enough. By using the finest German stainless steel, they create truly amazing pedicure nail tools with lasting sharpness, ultimate precision and durability. Thanks to hot-forged process of steel tempering, the blades keep their cutting properties for a very long time, awarding you with easy, smooth cutting and even, healthy nail edges. 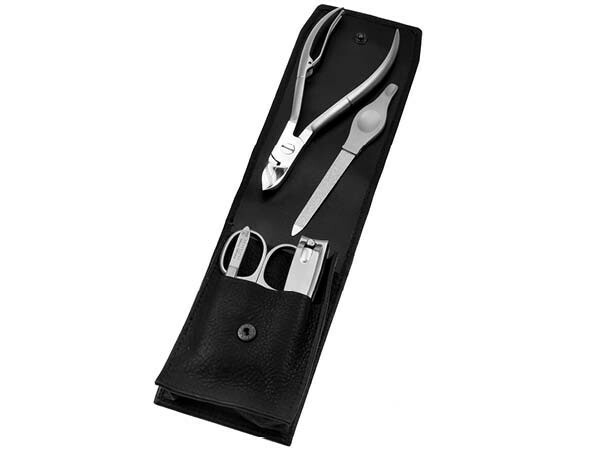 You can trust this nail set will give you years of outstanding service taking great care of your toes and fingers, with instruments keeping their sharpness - even with frequent use. Hand-crafted from premium cowhide, the leather case features a stylish full-grain pattern and a push stud, securing the implements and preventing them from damage and dirt. 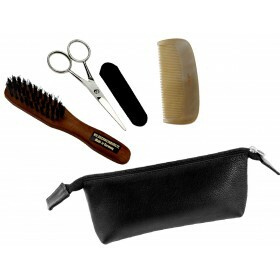 Easy to carry and store whether as a travel accessory or a handy bathroom grooming kit. Manufactured by Hans Kniebes Solingen Germany. Family tradition since 1926.